In 1977 a group of leaders came together to address concern for the lack of employment and educational programs available to disadvantage youth and adults. Center for Training & Careers (CTC) is a nonprofit 501(c)3 organization that successfully trained and placed hundreds of highly productive employees throughout the Silicon Valley. It is known that necessity is the mother of invention… so as the needs and demands for working class families grew our leadership step up to meet the challenge. We moved to a larger facility, expanded our programming, changed our name and added key staff with the skills needed to provide services that can detect, prevent, engage, guide, support, improve and strengthen the family unit. We believe in a holistic approach that truly addresses the many barriers and needs that our participants face on a daily bases, such as; truancy, substance abuse, teen pregnancy, homeless, relationship violence, peer pressure, harassment, gang violence, joblessness and school failure. We are committed to people, partnerships and long-term solutions that will bring about social equity for all, with this in mind, we ask you to join us to expand the circle of hope by your generous giving of your time and resources so that together we can make a difference for a better and brighter future for those less fortunate in our community. A nine member Board of Directors governs ConXión. 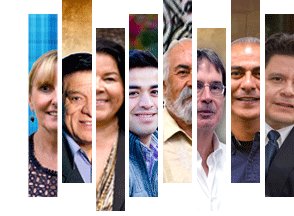 ConXión’s Board is composed of ninety percent Latinos and ten percent Caucasian. The President reports to the Board and has overall responsibility for the organization. The Board meets monthly with the President and executive management staff to evaluate various aspects of the organizations goals and objectives, review the financials, and review our strategic plan. The executive management staff consists of the Chief Operations Officer; Accounting Manager, Director of Youth Services, and Director of Family Services. ConXión is an active affiliate of the UnidosUS, the nation’s largest Hispanic advocacy group. ConXión is also a work2future One Stop affiliate partner site: work2future—connecting job seekers to businesses. The One-Stops assist workers and job seekers access the tools they need to manage their careers through high quality information and services and help employers find skilled workers. Because of the immigrant makeup of San Jose, ConXión is sensitive to the special cultural and language needs of monolingual and bilingual participants. We do not discriminate based upon race, class, gender, ethnicity, age, disability or sexual orientation. Ninety-five percent of our staff speak, read, and write Spanish. ConXión has well-established collaborations and partnerships throughout Santa Clara County, all geared at addressing the needs of our community. East Side Union High School District is a strong collaborator for many of our youth programs. Gardner Family Health Services provides culturally sensitive mental health counseling and drug/alcohol counseling. Additionally the Gardner Mobile Health Van is on site weekly. The Silicon Valley Hispanic Chamber of Commerce with us to find employment opportunities for our participants. The Chamber also provides technical assistance in curriculum development to ensure we keep up with industry standards. Second Harvest Food Bank helps us to provide hot meals and snacks to our participants. New Name, New Brand: In 2014 realizing our potential outreached to the greater community and the need to verify our selves more clearly and to create new fresh messages about our Vision and Mission to the community. Carlos Pérez the agencies creative director, known for being the artist that in 1977 drew the Apple Logo. He was also a member of the original marketing communications team for Apple Computers, Inc.
Our new name and logo is based on a Nahuatl cultural symbol “Ollin” derived from the words “Yollotl” meaning heart and “yolistli” meaning life. Ollin means to move and act now with all your heart. To experience the Ollin factor, we have to get “All In”! Community Engagement: Our process of community engagement often involves integrating practices of preventing discrimination, correcting imbalances, and managing relationships of difference. These tools can help to increase diversity, promote cultural competence, and enhance organizational credibility and effectiveness of our programs. ConXión builds ongoing, permanent relationships for the purpose of applying a collective vision for the benefit of our community. We encourage our staff and program participants to get involved in the community. We sit on community and governmental Boards, Commissions, and Committees. We work within the community to move it towards change for a healthier community for all. As a graduate of a ConXión program, you are eligible for membership in ConXión’s Alumni Association. This is reserved for those participants who successfully complete any of ConXión’s programs. Your benefits include: Weekly Food Bags, Computer Upgrade Classes, and Annual Pins (1, 5 & 10 year pins). 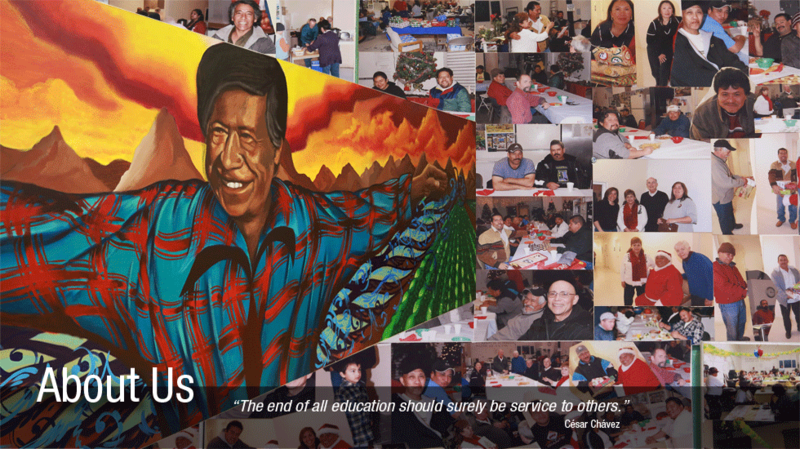 ConXión Online newsletter, Toys for Tots in December, Invitation to special events i.e. job fairs and lifetime placement assistance. available to family members of ConXión program participants. Case Management: ConXión experience shows that case management services are critical to assist individuals overcome multiple barriers to employment. ConXión Case Managers are experienced in providing assessment and case management services to hard-to-serve individuals, meeting with them on a regular basis to monitor their progress, address any issues that arise, and make adjustments to their Individual Employment Plan, as needed. Staff has strong knowledge of and established relationships with a wide range of resource referral agencies throughout Santa Clara County. Case Managers identify other types of assistance that may be needed by participants, including transportation, uniforms or tools required for employment, and child care. Case Managers are responsible for ensuring that each participant makes progress towards the end goal of program completion, and then of employment, that the participant’s civil rights are not violated and that each trainee upholds ConXión’s standards and follows its regulations. Assessment: ConXión offers participants assessments of basic skills, career interest and career ability. Most training program also provide a two week assessment period that allows both the participant and the instructor time to determine if this is the right training for you.